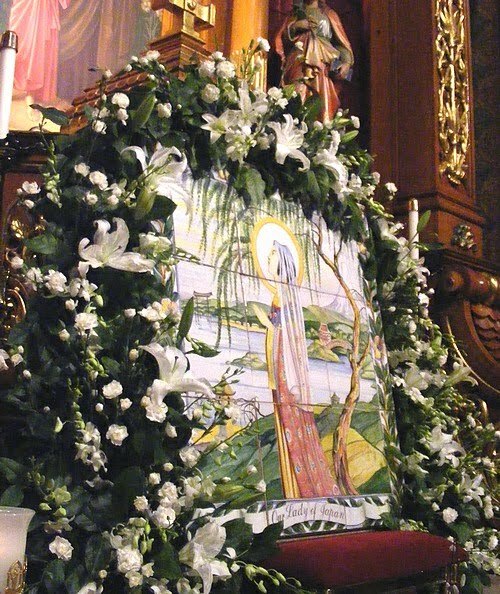 On a number of occasions (see here, here and here for example), we have shown a number of examples of historically inculturated liturgical art which comes from Japan, China and so forth. 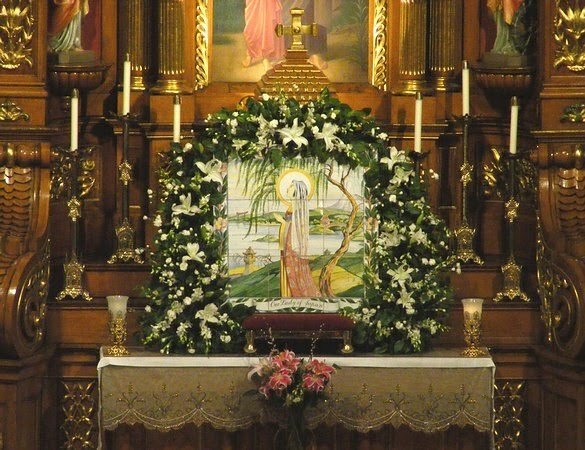 With the recent -- and ongoing -- tragedy which has hit the culturally rich and proud nation of Japan, the Canons Regular of St. John Cantius have admirably established a shrine to Our Lady of Japan in their church. 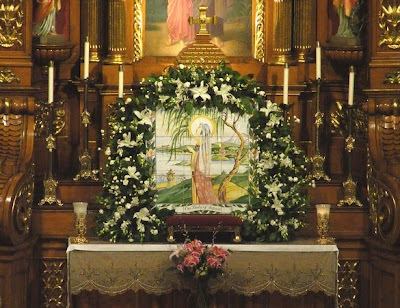 This shrine, located on their altar of St. Joseph, will remain during the next few weeks, as part of their ongoing prayers for all those affected by the devastation, entrusting the nation of Japan to the maternal protection of the Blessed Virgin Mary. 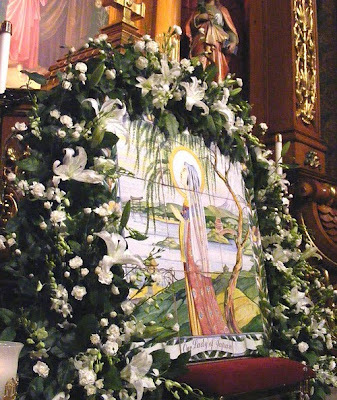 Here is an image of that altar, which includes a wonderful image of Our Lady of Japan which has been executed in this inculturated style we have shown before. It is a beautiful image. For those interested in offering material aid in addition to the spiritual, the Canons Regular provide a link to Catholic Relief Services.